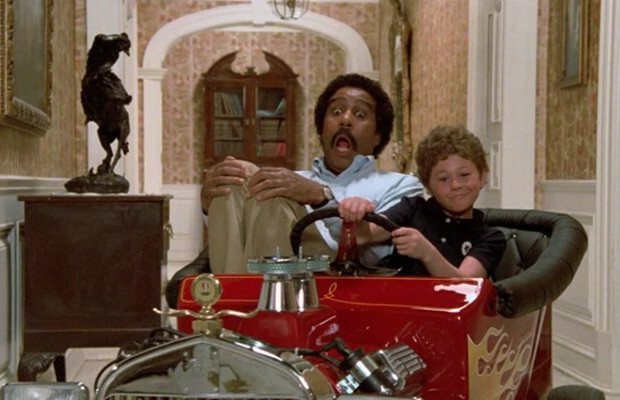 Your Stupid Minds continues its "great directors making terrible films" series with Richard Donner and Richard Pryor's unfortunate The Toy! Down on his luck Jack Brown (Pryor) is a reporter who can't get hired by the one newspaper in town because it's owned by a racist multi-millionaire (Jackie Gleason). After getting fired by Gleason after attempting to work as a "cleaning lady," Pryor does a physical comedy routine while listening to headphones, only to be inadvertently "purchased" by Eric "Master" Bates, Gleason's bratty son. What follows is a series of loosely connected vignettes tied together by Pryor alternately humiliating himself and getting upset at being humiliated by others like some sort of live-action Daffy Duck. This is one of several not-so-great Pryor films to come in the immediate wake of Pryor suffering third-degree burns in 1980. The film is based on a French farce, which probably still makes about 100% more sense. The Toy is set and filmed in Baton Rouge, Louisiana, and highlights the implicit (and sometimes explicit) racial issues in the area. Glad that was all taken care of! A Confederacy of Dunces is a great novel and Chris and Nick make references to it this episode.